The Odegeo class members looking toward the ceiling of the hallway to the north of the NE State Capitol rotunda. The Odegeo. . . 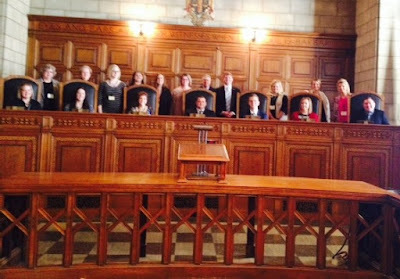 Leadership for Fillmore County is shown seated and standing by the Nebraska Supreme Court bench along with Chief Justice Heavican. The 2016-2017 Odegeo...Leadership for Fillmore County class traveled to Lincoln on February 21, 2017, to the State Capitol to learn more about the Unicameral and the issues facing the Legislature. The Leadership group began their day with Chief Justice Heavican presenting information about the Nebraska court system in the Supreme Court courtroom. Fallowing that the group had a short tour of the capitol. The group observed the Legislature when LB62, introduced by Norfolk Senator Jim Scheer, was discussed. The bill would repeal a law prohibiting public school teachers from wearing religious dress or garb at school. The debate continued the next day and senators gave first-round approval that would protect the right of a public school teacher to wear religious dress or garb in the classroom. Senator Ebke then joined the group for lunch at the Capitol. She gave some updates of what has been going on in the first few weeks of the Legislative session. Ebke is Chairman of the Judiciary committee. After lunch, Larry Dix, a lobbyist for the Nebraska Association of County Officials (NACO), presented information about the role of a lobbyist in the Nebraska Unicameral. In the afternoon class members attended various Committee Hearings, depending on their interest. Several comments were made as the class traveled home how much they enjoyed the day. The March session of the Odegeo. . . Leadership for Fillmore County will be about Agriculture in Fillmore County. 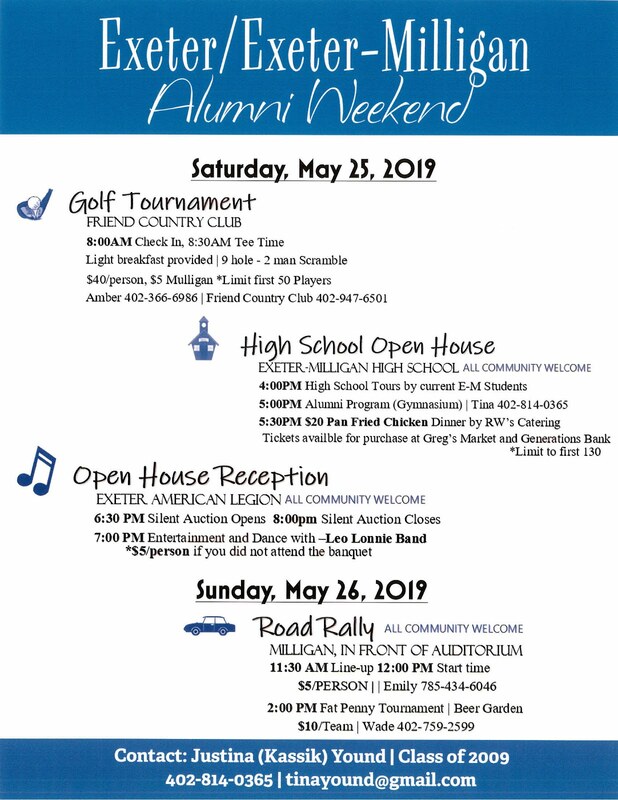 Persons interested in learning more about Odegeo…Leadership for Fillmore County may contact the Fillmore County Development Corporation by calling 402-759-4910 or emailing lentfer.fcdc@genevamail.com or go to www.fillmorecountydevelopment.org. Obituary for Roger D. Johnson, Sr.